If you are an ardent gaming enthusiast, you must be familiar with the importance of a monitor. 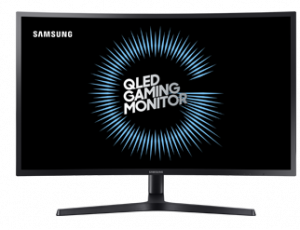 Moreover, it is widely known that a monitor can make a huge difference in your overall gaming experience. On this account, having a great gaming monitor is imperative if you want to elevate your experience and take it to the next level. Nevertheless, the abundance of different types of monitors in the market can make it difficult to choose the one who would fulfill all your needs in the best way possible. Hence, it’s important to take your personal preferences and individual requirements into consideration before you purchase to ensure that your hard-earned money is not squandered in the least bit. If you are fond of playing high-end games like GTA V or Far Cry, you may want a 4K Ultra HD gaming monitor with HDR. Nonetheless, even if you are into basic games, a monitor with a high refresh rate and low response time would still be required for optimum results. Someone who is not well-versed with gaming monitors can undoubtedly have a hard time trying to make the right decision. 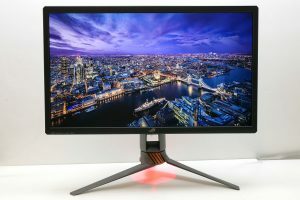 This article gives a concise and comprehensive review of the best monitors for gaming so that you can make the right purchase without any difficulty. 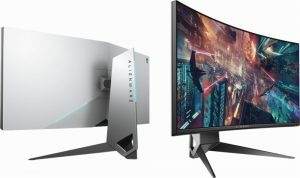 Alienware AW3418DW, the fastest ultra-wide, comes with a beautiful design and strong build quality. With an aspect ratio of 21:9, this gaming monitor features the highest refresh rate in an ultrawide along with an incredibly high level of immersion. The 34-inch monitor offers a ravishing 3,440 x 1,440 display, super fast 4ms response time and a phenomenal 120Hz refresh rate for a first-rate gaming experience. Being one of the best gaming monitors, Alienware AW3418DW is one of a kind when it comes to the number of features that it has to offer. The Asus ROG Swift PG27U is popularly known as the Rolls Royce of gaming monitors. Although this gaming monitor is somewhat expensive, it comes with HDR and a gorgeous 4K Ultra-HD resolution. The screen size of 27 inches and an aspect ratio of 16:9 provide fantastic image quality. Other than that, the stunning 144Hz refresh rate, 4ms response time, and G-Sync make Asus ROG Swift PG27U the most impressive gaming monitors of all times. Despite being targeted at CAD professionals, BenQ PD3200U is a great option for gaming as well. BenQ PD3200U features a large 4K UHD screen of 32 inches along with an aspect ratio of 16:9 and offers fantastic viewing angles as well. In addition to that, it features an amazing 60Hz refresh rate, 4ms of latency, and a super large display for a superb gaming experience. This gaming monitor is indubitably a good choice for gamers. The AOC Agon AG352UCG is considered to be the best gaming monitor of all times. It comes with a large screen size of 35 inches and offers remarkable color performance. It has an aspect ratio of 21:9 and features a great 3,440 x 1,440 display for gamers. In addition to that, AOC Agon AG352UCG features an excellent 120Hz refresh rate and 4ms response time for an amazing performance. Lastly, all of its features combined make AOC Agon AG352UCG the best monitor for ultra-wide gaming. The Samsung CHG70 QLED comes with a resolution of 1044P for an outstanding display. 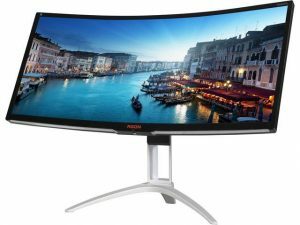 Furthermore, it is a curved monitor with a super fast response time of 1ms and 144Hz refresh rate, which makes it one of the best gaming monitors that you can consider buying in 2019. 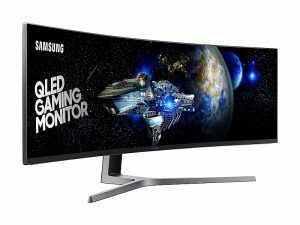 With a phenomenal screen size of 32 inches and an aspect ratio of 16:9, Samsung CHG70 QLED is indeed a perfect choice for gaming. 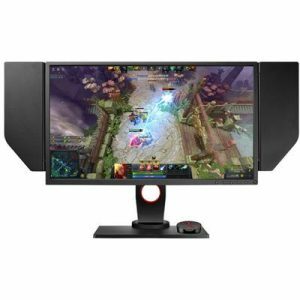 Additionally, if you have a strong graphics card that you want to take full advantage of, you cannot miss on this gaming monitor at any cost. With a great screen size of 24 inches and an aspect ratio of 16:9, this gaming monitor is way better than the similar alternatives available in the market. 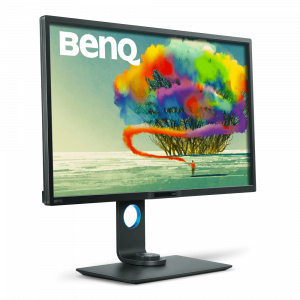 The BenQ Zowie XL2540 is doubtlessly an outstanding choice for professional gamers as this monitor is tailored to their needs. The instantaneous response time of 1ms and 240Hz refresh rate combined with a gorgeous 1,920 x 1,080 display makes BenQ Zowie XL2540 the best gaming monitor for professionals. The MSI Optix MAG271CR features a screen size of 27 inches with an aspect ratio of 16:9. Not just that, with a resolution of 1080P, 144Hz refresh rate, and 1ms of response time, this monitor is absolutely perfect for competitive games like Counter-Strike, which require speed more than anything for staying on top of the leaderboards. With excellent viewing angles, fast refresh rate, and RGB lighting, you are going to enjoy fast and smooth gameplay as long as you have the hardware to support it. This gaming monitor features a great screen size of 35 inches. It takes HDR and runs with it, crafting a curved ultra-wide screen that is extremely desirable and attractive. Besides being a video enjoyment monitor, BenQ EX3501R can easily support the display HDR-enabled games without any difficulty. 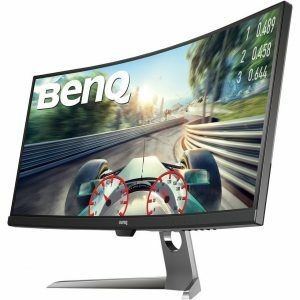 With a fantastic 3,440 x 1,440 display and aspect ratio of 21:9, BenQ EX3501R offers an incredibly amazing experience when it comes to playing high-end games. In addition to that, the 100Hz refresh rate and 4ms of latency provide for a convenient and uninterrupted gaming experience. It is undoubtedly one of the best gaming monitors of the year. 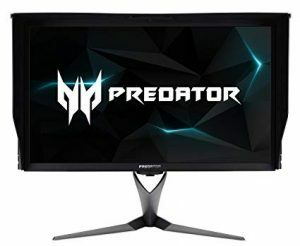 The best thing about Acer Predator X27 is that the features that it offers are equivalent to the amount of money that you pay. Acer Predator X27 comes with a massive screen size of 27 inches and offers a beautiful 4K HDR picture. 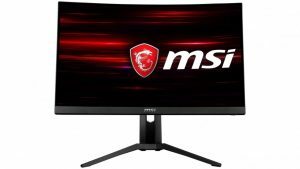 Besides 4K resolution and HDR-10, other features of this gaming monitor are G-Sync, 144Hz refresh rate, and response time of 4ms. The superb 3,840 x 2,160 display and aspect ratio of 16:9 makes Acer Predator X27 a budget-friendly and advanced gaming monitor. Samsung CHG90 QLED, the widest ultra-wide, offers flawless image quality and impressive color reproduction. Besides that, it features an excellent 1080P resolution and a screen size of 49 inches for fervent gamers. With an aspect ratio of 32:9, smooth 144Hz refresh rate, and HDR, Samsung CHG90 QLED, provides for an unforgettable gaming experience. Most essentially, the screen is so big, that it can be used for doing a multitude of tasks other than gaming concomitantly. When it comes to buying the best gaming monitor, a lot of essential factors have to be considered. These determinants include screen size, aspect ratio, resolution, refresh rate, response time, panel type, viewing angle, et cetera. The following terms can help you decide on what display should grace and dignify your desk.